As we come to the finish of our series on the Doctrine of the Holy Spirit, we look at the Holy Spirit’s ministry to the Church. He gives gifts according to His will, affirming His personality and equality with the Father and the Son. The Spirit’s gifts serve the Body and honor Jesus. Notes and audio from the class can be found here. We continued our discussion of the Holy Spirit’s ministry in and through the Word of God. In the first part of our discussion, we talked about the Spirit’s inspiration of the Scriptures, when He reminded and taught the apostles all that Jesus had said. We followed this up by looking at the confidence in the Scriptures that the Spirit gives us, by enabling us to recognize and respond to the Scriptures as the very Word of God. The Scriptures are preserved through the generations by those who are born again and see the Bible for the great treasure it is–all of which is the Spirit’s work in us. You can read the notes and listen to the audio here. In Sunday School, we began looking at the Holy Spirit’s ministry through the Scriptures, in particular at inspiration. The foundation for our discussion was Jesus’ promise in John 14:26 that the promised Holy Spirit sent in His name by the Father would teach and remind the apostles all that Jesus said and did. Audio and notes are available here. Next week, we’ll continue this discussion by looking at the Holy Spirit’s preservation of the Scriptures that He inspired. We’ll delve into issues of canon and our confidence as believers that the Table of Contents is complete and correct. Our study of the doctrine of the Holy Spirit examined the new birth in John 3. In this famous conversation between Jesus and Nicodemus, the new birth is described as both necessary (“you must be born again”) and mysterious (“the wind blows where it pleases”). In Sunday School we looked at the relationship between Jesus and the Holy Spirit, and the very powerful effect and example that it is for us. Jesus submits to the Spirit in His Incarnation to “fulfill all righteousness” for everyone who believes. The notes and audio are available here. John [the Baptist] effectively said, “One greater than me is coming [v.7]. He is so great, I am not worthy to do what only a Gentile slave would do [v.7]. My baptism is outward with water: a symbol. His baptism is inward with the Spirit: the real thing [v.8]. The One who is coming is mightier than I am! He is more worthy than I am! He is more powerful than I am! I have touched your body with water. He will touch your soul with the Holy Spirit! — Danny Akin, Christ-Centered Expository Commentary: Mark, 8 (line breaks added). Our Sunday School series on the doctrine of the Holy Spirit continued by looking at the Holy Spirit’s ministry to and through the Old Testament prophets. 2 Peter 1:20-21 helps us interpret the prophets’ ministry. The audio and notes can be found here; the series can be found here. We continued looking at the Bible’s teaching on the Holy Spirit by looking at the Holy Spirit in the book of Judges. Judges wants us to be amazed at what a Spirit-empowered leader can do, and amazed at what kinds of men He empowers. The audio and notes are available here. 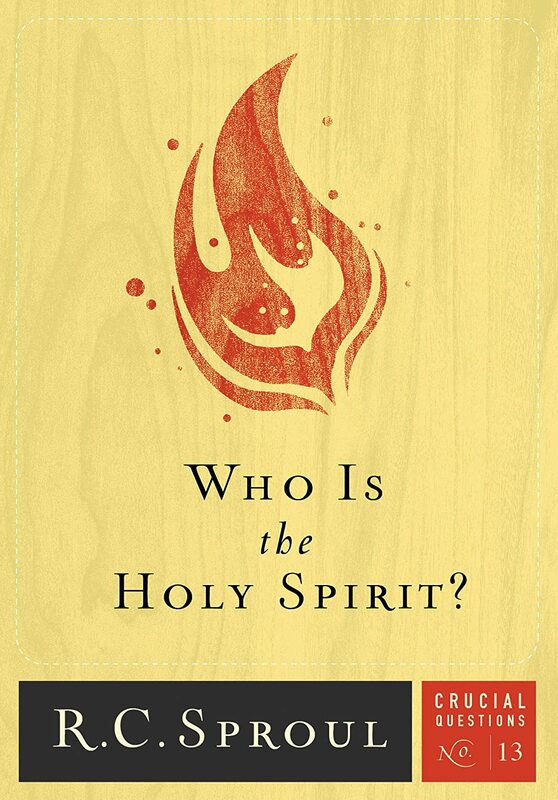 2015 Reading Log: Who is the Holy Spirit? Sproul, R.C. Who is the Holy Spirit?. Since we’ve begun a series in Sunday School at Grace Community Church on the doctrine of the Holy Spirit, I thought I’d check out Dr. Sproul’s Who is the Holy Spirit? in Ligonier’s Crucial Questions series. It’s an extremely short book (just over 70 pages) and can be read very quickly. Dr. Sproul begins by defending the Holy Spirit’s personality and divinity, explaining along the way why He is named the Holy Spirit. Then he outlines in the succeeding chapters different aspects of the Holy Spirit’s ministry in the lives of believers: He is life-giver, advocate, sanctifier, anointer, and illuminator. If you’ve had any exposure whatsoever to Dr. Sproul’s teaching, whether through audio/video or his books, you know he is an incredibly engaging teacher. His sharp theological prowess is matched by his sharp wit, and the two work together in a mutually reinforcing harmony. This is not an intensive investigation into pneumatology (the study of the Spirit), nor is it intended to be. Its purpose is to introduce and condense, and Dr. Sproul does so very well without compromising. The Kindle editions of the Crucial Questions series are available for FREE at Amazon (at least at the time of writing).